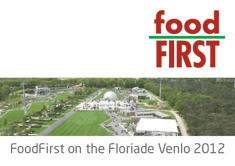 Verslag van de 6 Floriade conferenties van het foodFIRST-programma, 2012. Omslag en binnenwerk van een boekje bij het afscheid van Peter van Duyvenbode bij de toenmalige Besturenraad (nu Verus). During 5 years in the mid ’90s, I did the design and typesetting of Samenspel, monthly newsletter of a church in Amsterdam. I did the typesetting of the articles, the image editing, and I also managed the workflow for the printer and the distribution. The newsletter could be anything between 4 and 12 pages and appeared 11 times a year. I made some gradual changes in the lay-out of this newsletter, enought to have it completely transformed in about 3 years. Working with strict deadlines and being very accurate — one does not want to have printing errors when it comes to times, and it is in general sloppy — but also creating attracktive pages in a set frame were a good and enjoyable challenge. As is often the case, after some time both parties have to move on and develop fresh ideas; it was an invaluable experience.